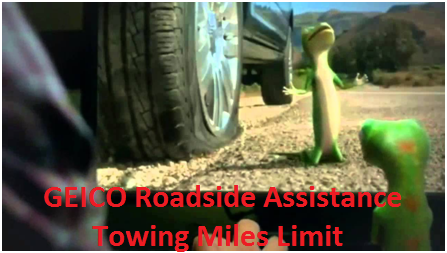 GEICO Towing Distance Limit: How Many Miles will GEICO Tow My Car? Road assistance provided by GEICO is the most competitive. You can have road assistance coverage under your insurance plan. You also can get road assistance coverage separately by paying nominal premium annually. If you meet an accident or if there is an emergency, you are provided roadside assistance. If you are covered for road assistance, you are provided the service for free. The towing assistance can be up to 100 miles. Visit on ‘Get Help Now’ button displayed in middle of the home page. Provide details as asked and submit it. GPS locator will find your location and you will be provided assistance needed at the earliest. Contact for insurance by phone number 1-800-861-8380. You can check more numbers on https://www.geico.com/contact-us/b2b-contact/. GEICO is one of the most leading insurance providers in USA. It was founded way back in 1936 with a view to provide insurance to government employees. It extended its services to all later. The company mainly provides car insurance; it also provides insurance for motorcycle, RV, Boat etc. Moreover, GEICO offers home insurance, travel insurance, business insurance etc. GEICO has become a name in auto insurance. It recognizes importance of military services for the nation and respects them; it offers the most affordable insurance options to members of the U.S. military. The company provides coverage to almost all vehicles that run on the road. It offers several coverage options to suit everyone’s needs. You can get several discounts and bonus based on your driving habits. Federal employees, military personnel, GEICO employees and students get special discounts. No claim benefit is offered too. If you drive a car, the car insurance is a must. Enter your personal and vehicle information as instructed and submit the information. You will get assistance about the types of coverage you can include. Your request will be processed immediately and you will get a quote. Customers on average save $500 annually for an insurance from GEICO. Will GEICO tow my car twice?